Loaner Car Roulette: We all love to play it, sometimes it’s with a rental, sometimes it’s with a dealer loaner car. Today for me, it’s a dealer loaner car. 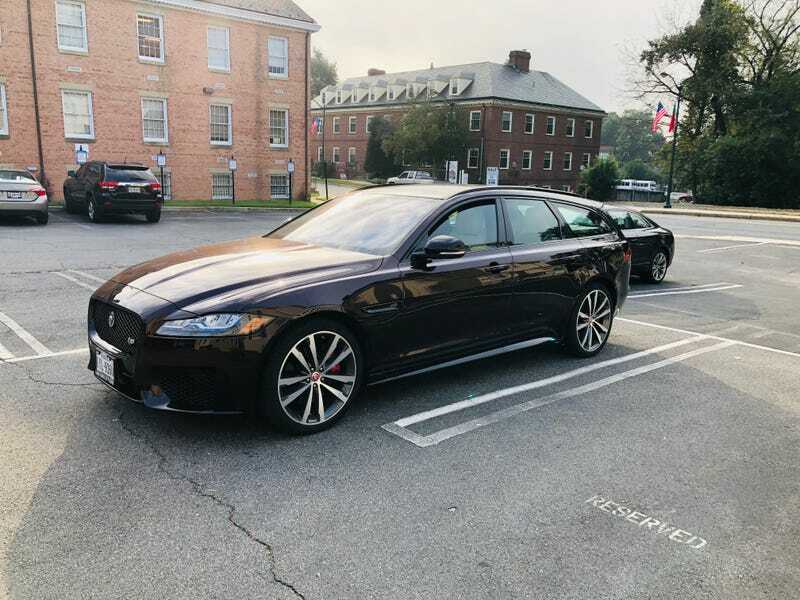 I took my 10' XF in this morning for its scheduled service and I was fully expecting to get another base Discovery or possibly a base XE. The dealer generally loans out base or near base vehicles, and they are just “fine”. Nothing fancy, but not horrible. I was fully expecting another of the same. I’ve gotten 2.0t XF’s, F-Pace diesel’s and a whole plethora of 2.0t Discoveries and Evoque’s. So here she is, a 2018 Jaguar XF Sportbrake S AWD, 3.0 Supercharged in gorgeous Rosello Red over an Ebony/Light Oyster interior. I’ve had this car about 3 hours and only put about 20 miles on it, but I’m in love. I want this car, I want this car bad. I can’t stop looking at it sitting in the parking lot here at work. This isn’t good. Photo: Rosello Red is a stunning color. So here’s your chance. I’ll probably have this for a couple days, so if you have any questions just let me know and I’ll try and answer them all. More photos and a possibly review coming later.